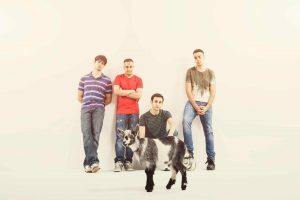 Win a pair of tickets to Goats at the Royal Court Theatre! From Friday 24th until Saturday 30th December, Liwaa Yazji’s Goats will make its debut at the Royal Court Theatre. Initially performed as a stage reading which was a part of As Told From the Inside: Stories from Syria and Lebanon last year, the topical play is translated by Katherine Halls and directed by Royal Court Associate Director Hamish Pirie. Above and Beyond is a fun-filled interactive family show. Aimed at 5-11 year olds, it is all about the children getting involved. Courtesy of Northern Stage Theatre. 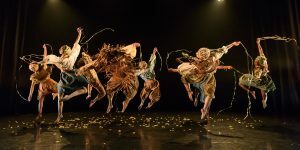 The age-old tale of Rumpelstiltskin has been reinvented and presented beautifully by balletLORENT. 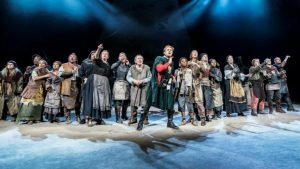 The tale for this piece is retold by poet Carol Ann Duffy, it is told in a simplistic way to allow the dance to complete the tale and ensure the young audience know what is going on. You know a family show is getting it right when you don’t hear all the children around you fire constant questions at their parents about what’s happening. 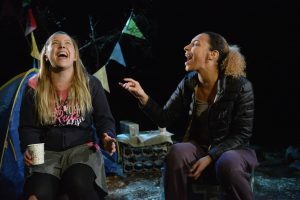 All The Little Lights is a robust, complex play that encourages the audience to read between the lines and engage with the nuances of its three characters, estranged best friends Joanne and Lisa, trapped in a circle of love-in-hate, and 12 year-old Amy. 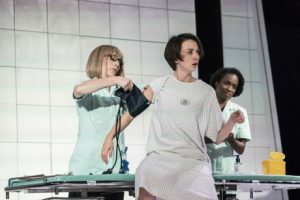 Jane Upton’s script avoids a patronising signposting of content, and, in so doing, best suggests the insidious nature of its subject matter in a world where signs are missed, bruises hidden, and voices silenced. 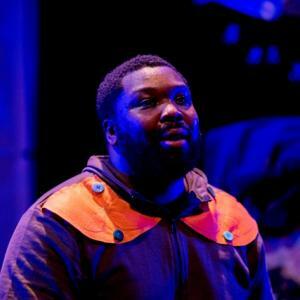 Courtesy of the Arcola Theatre. This latest tour of Headlong’s sell-out west-end show from the National delivers a play in which form and content compliment each other with enigmatic dexterity; in which questions are posed by characters who themselves are somewhat questionable in both intent and integrity, and one is taken on a journey that the play itself keeps on telling you is pointless, but turns out to be anything but. 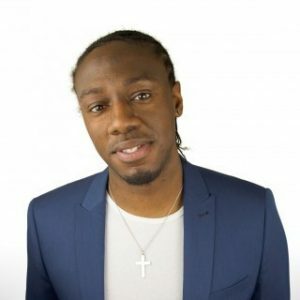 Affable and measures Nathan Caton brings his steady set The Pursuit of Happiness to the intimate Soho Theatre Upstairs space. Running at just over an hour, Caton’s set glows with a humble warmth. He starts the show well with gentle, well received audience improv. Not one to push too far, Caton eases into his more risqué material with zeal. The audience are always on his side- and who couldn’t love a guy who, as he says, puts the ‘hug’ in ‘thug’? Last night witnessed the first Theatre & Technology Awards; an awards ceremony celebrating the achievements of theatre professionals in our digital age. Theatrefullstop are now happy to announce the winners and Highly commended nominees of the evening. Kneehigh have stormed straight back onto the stage with the outrageous, spectacular assault on the senses that is their adaptation of Gunter Grass’ The Tin Drum. Blinding lights, ear piercing noises and the ever present scent of matchsticks really keeps you in the present, in awe of the spectacle that this incredible cast has created. Courtesy of the West Yorkshire Playhouse. Our teenage years are probably one of our most trying phases. On our paths to adulthood, there are expectations both on an educational and personal level that have to be met. From considering a chosen career path, to passing statutory exams, to navigating friendships, relationships and home life. These are the years where we really start to gauge who we are, our identities start to form. Joseph Barnes Phillips‘ Big Foot zones in on this particular phase, drawing focus on the concept of masculinity. Roy Mullarkey’s new play tackles ideas of leadership and heroism. This is the second time this year that in the Oliver a young male writer has attempted to tackle folklore and myth. Mullarkey feels out of his depth. This play doesn’t have the same slickness as his Royal Court comedy, The Wolf from the Door.